Grey Frontieres. Ex Black type winning mare Tally Em Up (Flemensfirth) x Sans Frontieres . 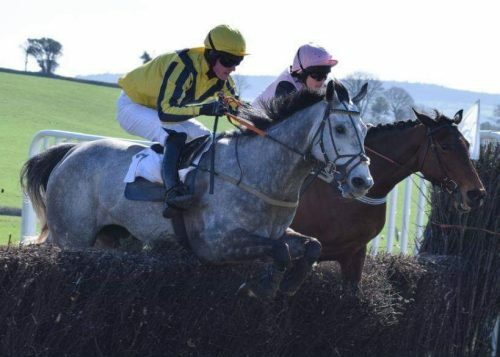 Winner of 14 runner maiden p-2-p at Kilworthy on 24/3/19 on only her 3rd start, highlighted by pointtopoint.co.uk on the clock for recording a decent time. Sure to progress on the track and excellent paddock value when she finishes racing. Realistically priced. Please call Max on 07729162748 for further information.